Firstly, a few thoughts on Kompakt's latest addition to its ambient series, Pop Ambient 2018. Knowing where to start when these drop at the end of every year, let alone what to say is often a challenge, without having to review for review's-sake. Every year I comment on how the style continues to evolve ever-so-slightly compared to the Gas-infused loops and drones from the earlier editions of 2003. But that's a good thing, as Kompakt are essentially documenting a particular evolution of ambient music year-after-year. It may be a limited scope considering all things ambient, but for those that listen to the details, it starts to mimic some subtleties that are represented out ion the music world. One noticeable change, is the proliferation of modern-classical music. There was no such-thing on the earlier editions (at-least without some kind of heavy manipulation) , but now the likes of Kenneth James Gibson makes regular appearances (his latest on this 2018 edition, is one of his finest yet) and the piano is the core focus for Leandro Fresco and Thore Pfeiffer on the compilation opening track. And while newcomer Yui Onedera's depth in Prism, is manipulated enough to make it a beautiful drone record, there's no hiding the strings that power the emotion behind it. But before you start thinking we've got a new Erased Tapes compilation on our hands (nothing wrong with that I may add), curator Wolfgang Voigt, still manages to nail the Pop Ambient sound by bringing some old friends back to level the playing-field. Triola's, L'Atalante is a straight zip-line back to Jorg Burger's early contributions and The Orb, go swamp-walking again with Sky's Falling, harkening back to their early Kompakt album, Okie Dokie It's The Orb On Kompakt, or 2005's classic Pop Ambient track, Falkenbruck. Just when you think you've got your head around the evolution of sounds found in the latest edition, pedal steel guitarist Chuck Johnson hits you with a wisp of country-vibe, and dusty roads, a-la KLF in Brahmi. 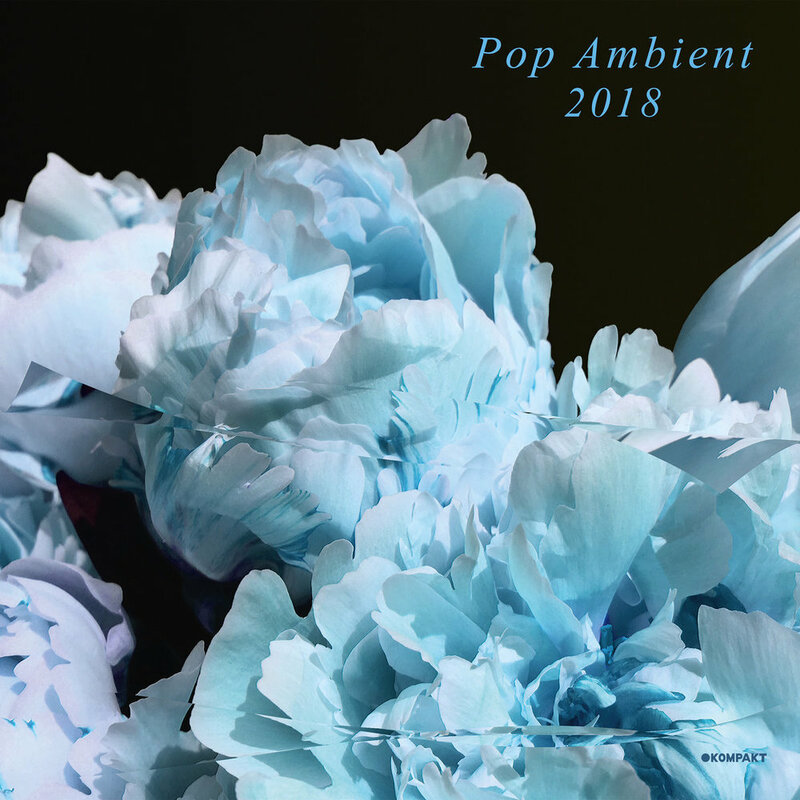 2018's Pop Ambient edition bridges some of the many sounds that have evolved since its inception all those years ago, with echoes of classics and nods to the new. It's a mainstay yearly release for this very reason, and whilst it's likely never going to try and revolutionize ambient music as we know it and present something different, that's not the point. Pop Ambient captures a sound many of us have now grown up with. I see some people expecting something new and exciting every time this compilation comes out - something to write about maybe. It's the struggle I realize - how do you write about something new which sticks to the same great recipe and does it so well? Ambient music doesn't have something this consistent at this level - it's called 'Pop' Ambient for a reason, and I'm all good with it presenting a solid roster every year capturing the slowly evolving sound of the music we all love. Kompakt's Pop Ambient 2018, available to buy now. Given the retrospect theme coming through, I thought I'd follow in the footsteps of a few of the Kompakt artists (Leandro Fresco's selections here) and select my all-time top-10 Pop Ambient tracks since the very first compilation in 2001. This is something that's extremely hard for me to do given my love for the series, and I'm already changing my mind... so I'm not going to make a fuss and write about them all. Ok, too many early tracks in here, I should change it. No... I'm just gonna hit 'publish' and leave this right here... enjoy! Listen on Spotify. Also available on Apple Music.